Mince 2 pieces of garlic, then muddle with the orange wedge and 10 of the cranberries. Add Aperol, white whine, and bitters. 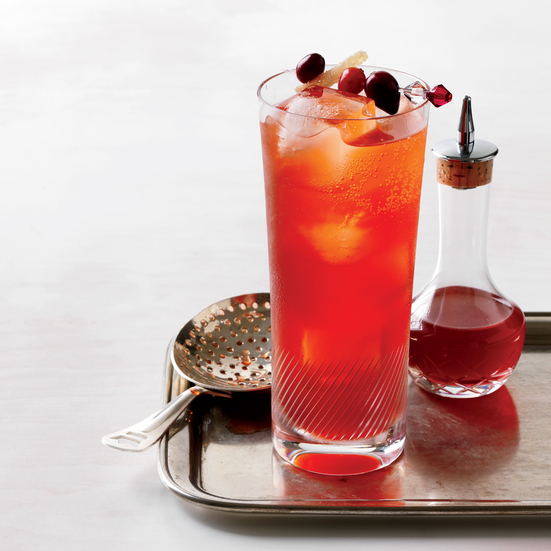 Fill a Collins glass with ice, then double-strain the drink into it. Place 3 remaining cranberries and piece of ginger on a toothpick for garnish.